In this edition, a local brewery is set to open its first taproom, a SoCal sandwich chain makes its way to the city, and a new taker has arrived at a former Tenderloin Chinese eatery. 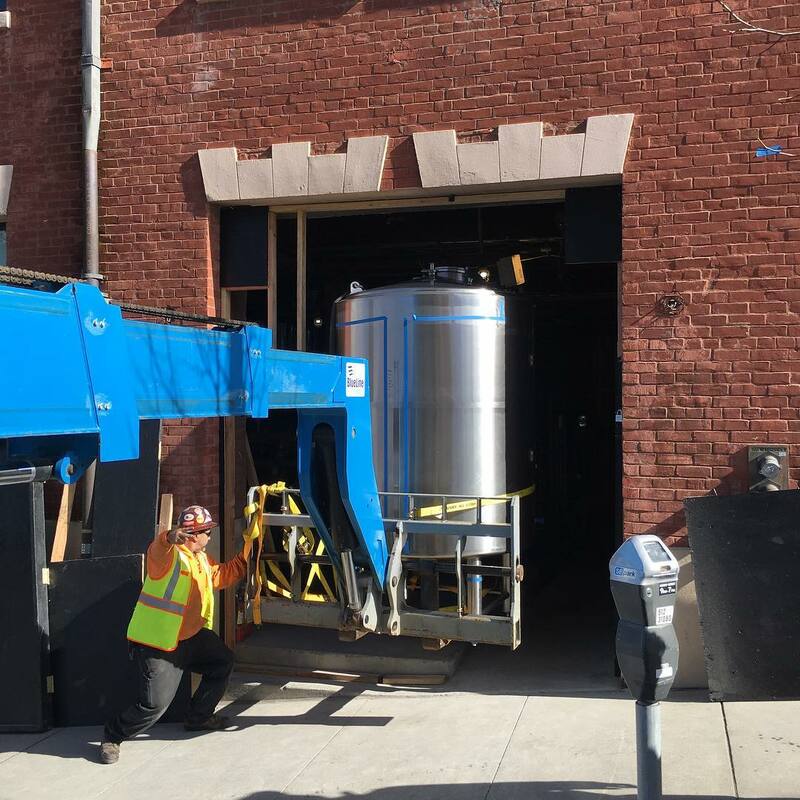 As we reported in February, after a successful run as a beer garden pop-up, San Francisco Brewing Co. announced that it would move into the neighborhood to open its first taproom. Now, according to a spokesperson, it appears that the new Ghirardelli Square spot should open in mid-May. The taproom will begin serving dinner to start, followed by lunch, brunch, and brewery tours shortly thereafter. "We're incredibly excited to finally be getting ready to open the doors to our new brewery and restaurant," said owner Josh Leavy. "We hope that people will continue to enjoy the beers they've come to know from our taps at various restaurants and bars around the Bay Area, now with their own home and brewed onsite alongside delicious food." After a full build-out--complete with a new custom-built kitchen and the installation of a pizza oven--expect to see pizzas, salads, small plates and apps to share like crispy bacon-wrapped dates, Tabasco onion rings, and smothered crispy chicken wings. Pub fare like fish and chips and a signature burger will joining the lineup, as well. For libations, the brewery is planning on having eight beers on tap, including its Alcatraz Amber Ale, La Mission Mexican Lager, and Marina Blond Ale. 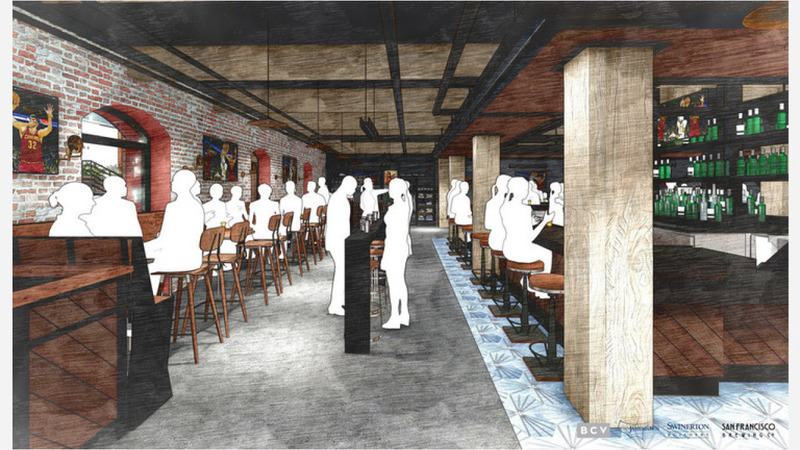 Plans also include a full-service bar offering an array of spirits, craft cocktails, and local wines and ciders. Rounding things out with entertainment will be a billiards table, foosball tables, shuffleboard, Pop-A-Shot and a number of TVs to catch a game. 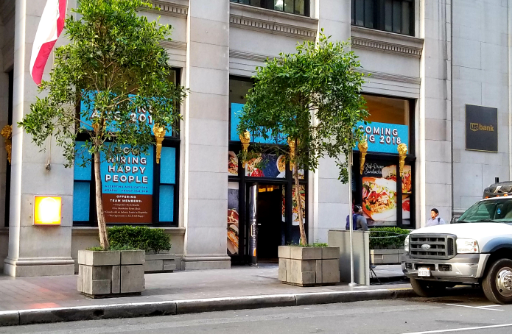 In the Financial District, tipster Al M. reports that construction has commenced at Mendocino Farm's newest Northern California locale. This marks the fourth Bay Area location for the expanding casual eatery. The restaurant "started as--and still is--a family business," according to its website and was founded by husband-and-wife team Mario Del Pero and Ellen Chen. Al said the space is "currently under heavy construction," and there's no word as to the restaurant's official opening date. When the new spot is open, expect to see offerings such as the "Not-So-Fried Mary's Chicken" with shaved roasted chicken, mustard pickle slaw and pickled red onions on toasted ciabatta; a Peruvian steak sandwich with Oaxacan cheese; and a bulgogi-style marinated steak sandwich with kimchi-kale slaw, jalapenos and chili aioli on toasted ciabatta. 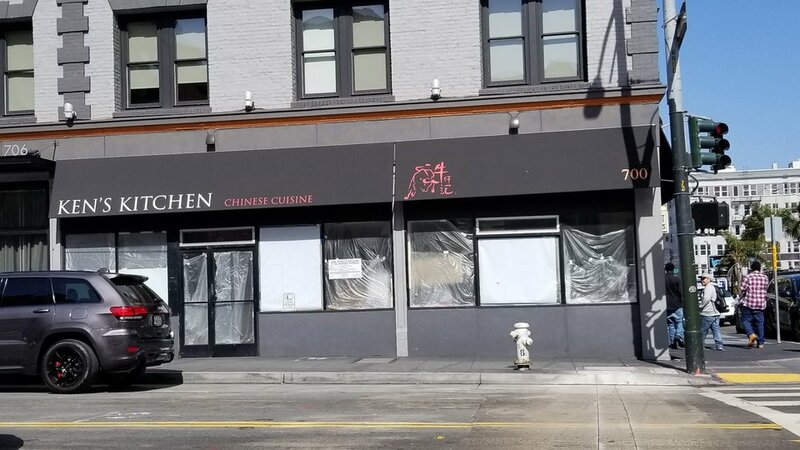 After more than a year since Ken's Kitchen closed, Al reports that there's movement inside and renovations have begun. According to a Department of Alcoholic Beverage Control application posted to a window, the replacement is a restaurant to be called Sun & Garden. There's not much info available as of yet, as public records indicate Sun & Garden Inc. only incorporated in mid-January. Al said he'll "keep his eyes and ears open for more information to materialize" and report back. Thanks to Al M. as always for all the tips!